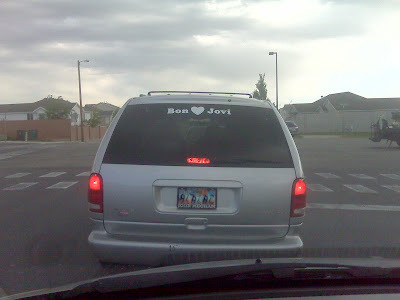 nice to know i am not the only woman out there with a love of minivans AND bon jovi! why would you take a picture of the back of your van? Bon Loves Jovi? I had no idea they were two different people. who doesn’t love Bon Jovi?? I see nothing wrong OR funny about that at all. Darcy anyone who like Bon Jovi is a flippin dork!! !